Although Yerevan is not a major tourist destination, there are a number of decent restaurants in the city. If you prefer international cuisine, the unavoidable Italian and Chinese restaurants are of course available. I however would recommend one of the restaurants which serve typical Armenian or Caucasian cuisine. Armenian cuisine is a representative of the cuisine of the Mediterranean and the Caucasus, with strong influences from Eastern Europe, the Middle East, and, to a lesser extent, from the Balkans. Like in the Middle East, Armenians like to start there meal with mezze, a number of small appetizers which are jointly shared by those present (if you are on your own, you may just ask for one, they normally come in big portions). For main courses Armenians love grilled meat, the barbecue is very popular in Yerevan. There are however many other interesting dishes as well, for example different kinds of stews. The soups are also good. Personally I did not find Armenian wine particularly attractive. 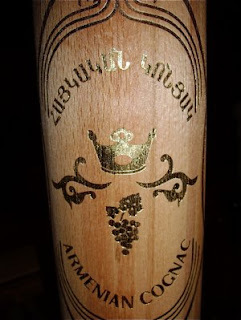 It is rather expensive, and for some reason Armenians, like many Russians, prefer their wine to be sweet. I tried a supposedly dry red wine, but still there was a sweet after-taste which a dry red wine should not have. You can get French wines in good restaurants, but they come very expensive. 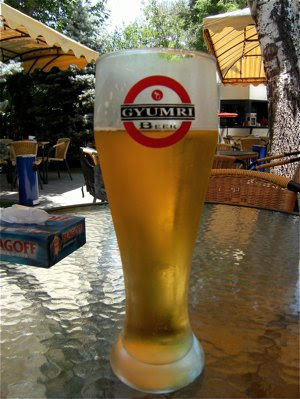 So stick to beer, or if you are brave, do like some of the locals and ask for half a bottle of vodka to go with your meal! It is drunk cold, in tall glasses with lots of ice cubes. The Armenian coffee is like the Greek or Turkish coffee, small, strong and with a lot of coffee-grounds. Normally sugar will be added before it is served. As a digestive, try an Armenian brandy (still named cognac in Armenia and ex-Soviet states, in spite of the French having protected the name under EU laws). This was Winston Churchill’s favourite brandy, and he got Stalin to send him a few cases regularly. Øivind Grimsmo is originally from Oslo, Norway. He is currently living in Strasbourg, where he works for the Council of Europe. He has also lived in Brussels, London and Valencia. He is married to Monica from Spain and has two children. Øivind has a degree in Romance Philology from the University of Oslo, and has a career mostly working with European affairs in international organisations.